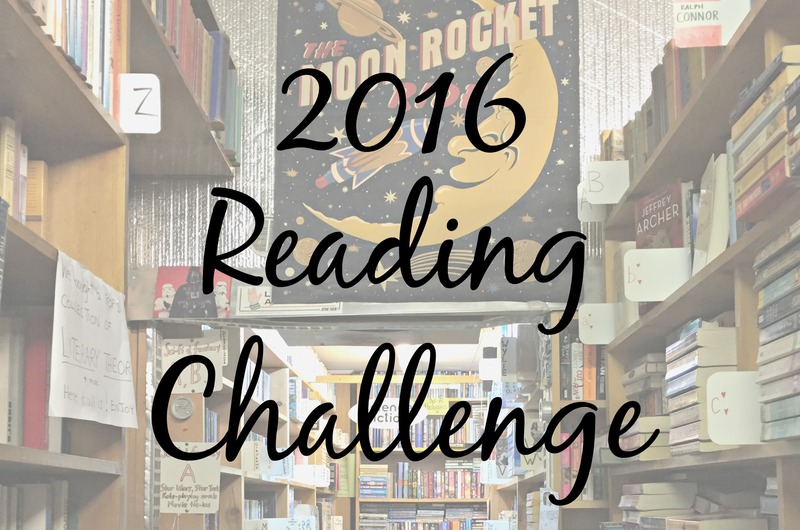 This year I challenged myself to read more new books than ever before. I was worried I wouldn’t have time to achieve this goal, but I surprised myself. I was able to read 30 new books before Halloween! Now my Goodreads account is congratulating me. I’m going to once again challenge myself to write one sentence reviews of each book, so if you’re looking for some new literary adventures to finish your year off check out what I’ve read in the past ten months. One of my friends told me to read this because it’s a creepy manga but it was way too terrifying in all the wrong ways! Mar takes a look at modern day Paganism and those who practice it: from large conventions to small gatherings, she interviews people about their different beliefs, traditions and customs. Ever wondered what would happen if all of California (and most of the American mid-west) dried up and turned into a desert in the span of only a few years? Either way, you should read this book because it’s amazing. It was one of my favourites this year, and that’s why I’m breaking my own rule to give it more than one sentence. I was craving something similar to The Night Circus when I picked up this book, but it didn’t exactly live up to my magical expectations. This book takes a look at a bleak future where aliens have invaded Earth and begin to kill off the human race. There are two sides to every marriage, and they don’t always agree with each other. YAS QUEEN — EVERYONE SHOULD READ THIS RIGHT NOW! This book has it all: magic, mystery, demons, love, heartbreak, music, murder, stories within stories, and a prose that is just so beautiful it will make you cry. This book was on my TBR list for so long so I was very excited to read it for my book club but then severely let down at how boring and obvious it turned out to be. The title of this book explains it perfectly because Canadian anthropologist and Explorer-in-Residence for National Geographic, Wade Davis, takes you on an eye-opening journey around the world in this book, introducing you to lost cultures and wisdom. This short story focuses on one of the minor characters in The Name of the Wind and is incredibly moving; it makes you stop to think about the importance of the smaller things in life. Sherlock Holmes does some drugs and solves some mysteries. This book was written by one of Hemingway’s close friends, and gives you an inside look at the iconic author’s life (and will make you cry — at least, I cried). This was the funniest book I’ve read in a while. If you’ve ever watched Buffy The Vampire Slayer and wondered what all the normal kids in highschool did in their spare time, this book has your answers. I probably would have enjoyed this book a lot more if I had a philosophy degree. Zombies may or may not have invaded a small town and eaten all of its residents. This book has convinced me that superheroes should only be portrayed in comics or movies, and never novels. I thought that Is Everyone Hanging Out Without Me? was the funniest book I’d read in a while until I read this one. This book was very difficult to read, unsettling, uncomfortable, anthropological, and will make you have some intense discussions about morals. I have a new respect for YA fantasy because this was one of the best magical adventures I’d read through in a very long time. No, I do not want to talk about this, now or ever. This story will take you back to your childhood, full of hope and fear and love and ignorance and everything else in-between, and it will make you happy and sad as you read through it. It is by far the best book I read this year, and I can’t wait to reread it again and again because it’s just so beautiful. I also can’t remember the last time I related to a main character in the way I related to the unnamed boy in this story. A book about a secret society centered around books! This story, loosely based off of the infamous Manson Cult, gives you a look at one of the girls who is involved on the sidelines of the family’s activities. This book begins with Harry August dying for the eleventh time, and then continues with explanations about what he has been trying to accomplished for the past few hundred years. I thought this book was way too predictable, and doesn’t really warrant the amount of hype it has been getting. Ransom Riggs found an incredibly creative way to turn creepy vintage photos into lovable characters. I’m still having nightmares about this book, so that just proves how hauntingly powerful it is. I loved this book and I don’t really know why because it’s weird, I could never figure out the setting, and there are some extremely vivid scenes but it’s also hilarious and full of quirky characters that I just couldn’t get enough of it.